The Toller Porcorum Community Land Trust Ltd. If you want to see the details click on this link, which will take you to the application site. After the closure of the village shop and post office in 1998 a public meeting was held to investigate support for a new post office. 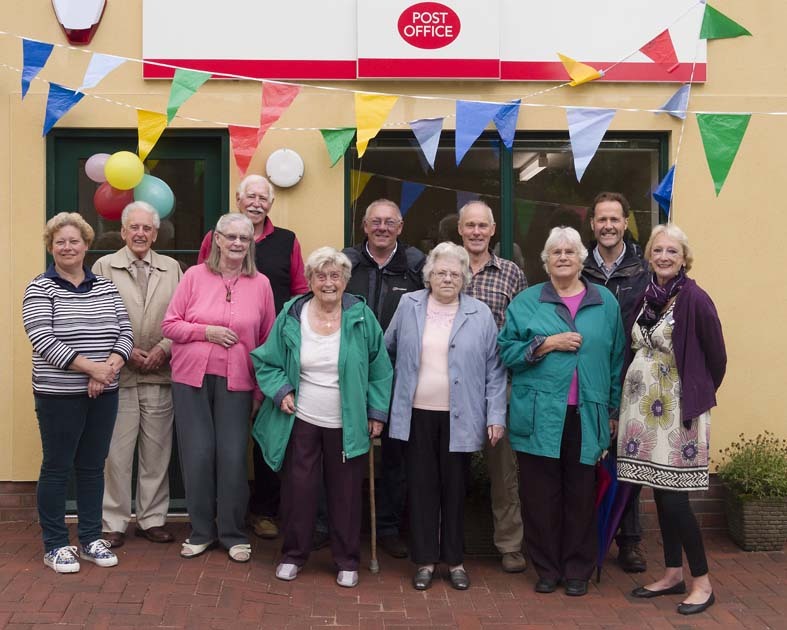 The working group established the need for a new post office, premises were offered by Hugh Hereward, funds were raised to convert the room and the new post office opened in May 1999 under the auspices of the Toller Porcorum Village Association. The longer term tenure of the post office premises is now in some doubt and in 2009 Vanora, Hugh’s daughter, had a plan to gift land to the village to provide a site for a new post office and some housing. This has been augmented by land being made available at the end of the Old Mills which would provide around six new homes for local use under the banner of affordable housing and a new purpose built Post Office. The TPVA held a village meeting on the 28th February 2012 attended by over forty villagers and with support from Wessex Community Assets, West Dorset District Council and Synergy Housing Association. As a result of this meeting a Steering Group was formed with the intention of converting this to a corporate Body to contract with the Housing Association to develop the project. The Toller Porcorum Community Land Trust Ltd was incorporated on 8th August 2012 as a Community Benefit Society. Very sadly, Vanora passed away suddenly on the 27th July 2012 but it is hoped that her bequest will enable this important village scheme to go ahead.